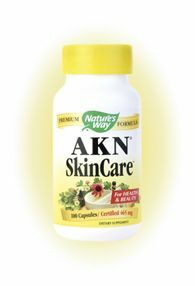 Are You Looking for the Dietary Supplement thats Helps Maintain Healthy Skin Hydration? Wheat-derived oils have been used topically for hundreds of years as a natural moisturizer, however these oils alone do not provide the protection found with this proprietary blend offering nutritional support for aging skin. 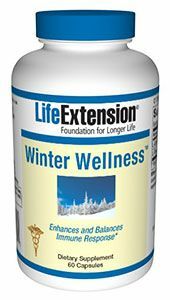 A: As with any supplement everyone is different and not every supplement works for everyone. 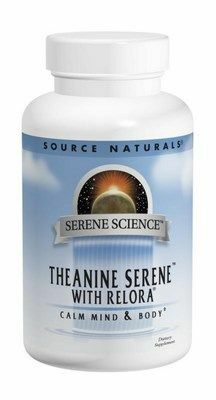 We recommend that you try this supplement and see if it works for you. 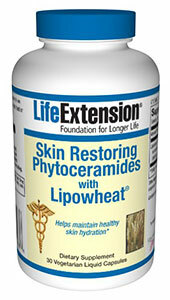 With their Skin Restoring Ceramides with Lipowheat™ dietary supplement, Life Extension has brought together these special skin-nourishing oils in a new oral formula for skin health. Ceramides play a central role in preserving healthy-looking skin. They are an important lipid component of the skin's membrane, where they provide protection from the elements and promote proper moisture levels. Question: Can I use if I am breastfeeding? A: Phytoceramides are a plant derived equivalent of ceramides, a lipid that keeps your skin hydrated and plump. It also prevents sagging and wrinkles from occuring. You can get phytoceramides from foods also such as sweet potatoes, rice and wheat. When using Nutritional supplements, please consult with your physician if you are pregnant or lactating. Question: Does it cause your skin to break out? A: In the aging process, loss of ceramides is common leaving our skin wrinkled and dried. Phytoceramides are a plant deritive of ceramides, a lipid that keeps your skin hydrated and looking refreshed. Exceeding the recommended daily intake of 1 capsule per day may result in adverse health effects. Contact a physician immediately if any signs occur.